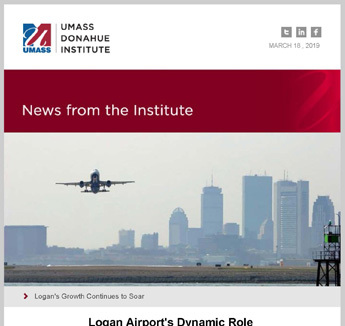 Read past issues of the UMass Donahue Institute newsletter below. To receive future issues via email, subscribe here or follow the link in the footer area of this page. Spring 2017 (inaugural issue): Factors in Mass. business location decision-making, Civic Iniative in Pakistan, young adult labor force participation declines, Head Start anniversary, 2016 STEM Summit, population growth by town in Mass.